A European premiere from acclaimed American playwright Halley Feiffer, A Funny Thing Happened on the Way to the Gynecologic Oncology Unit at Memorial Sloan Kettering Cancer Center of New York City. Karla, a foul-mouthed twenty-something comedian, and Don, a middle-aged man embroiled in a nasty divorce, are brought together unexpectedly when their cancer-stricken mothers become roommates in the hospital. Together, this unlikely duo must negotiate some of life’s biggest challenges… while making some of the world’s most inappropriate jokes. Can these two very lost people learn to laugh through their pain and lean on each other, when all they really want to do is run away? 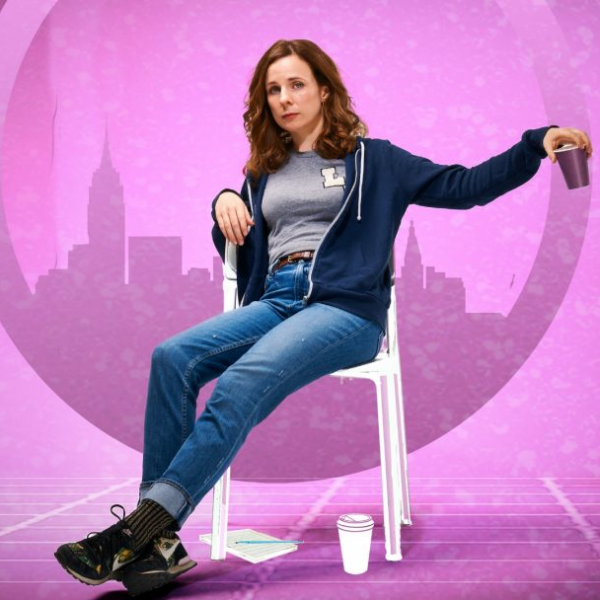 Playwright Halley Feiffer returns to the Finborough Theatre following last year’s sell-out production of her Outer Critics’ Circle Award nominated I’m Gonna Pray For You So Hard.